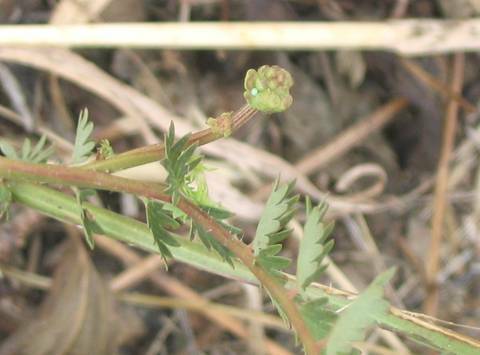 Resting on the larval foodplant salad burnet, the 'red underwing' is clearly visible. 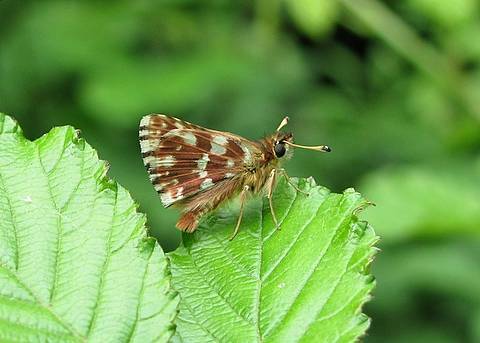 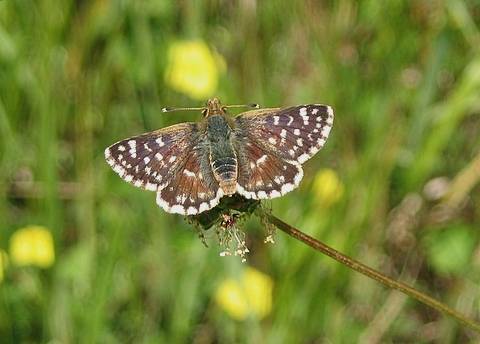 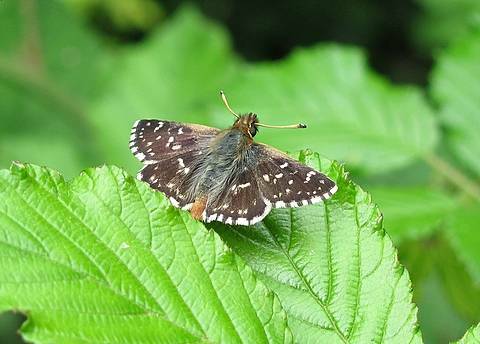 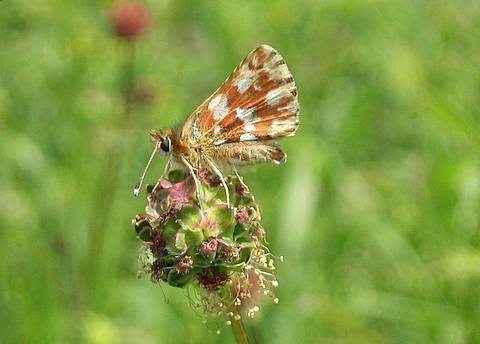 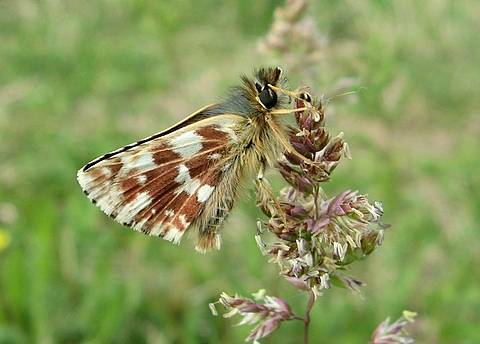 This species can be found in flower rich meadows at the same time of the year as Pyrgus malvae. 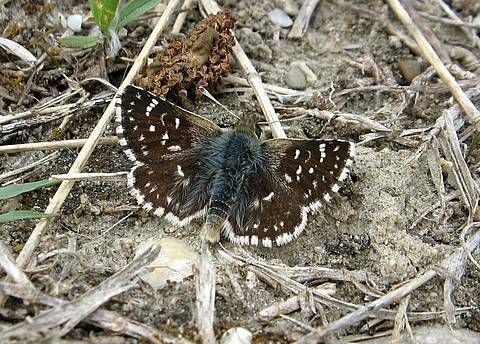 The two species are superficially similar but the arrangement of the white spots on the upperside makes identification quite easy.